Recently, I presented my paper entitled,”VR Panoramic Photography and Hypermedia: Drawing from the Panorama’s Past” at the 21st International Symposium of Electronic Art (a.k.a. 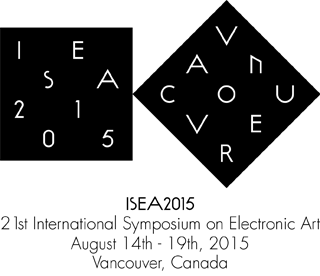 ISEA 2015) in Vancouver, Canada. Since the 1787 patent of the immersive 360-degree painted panorama by Robert Barker, the panorama has been used as a narrative storytelling tool. With VR (virtual reality) panoramic photography in tandem with the notion of hypermedia, the VR panorama can further advance the idea of storytelling as both an object and an interface. Using the principles of Robert Barker’s patent of the panorama as a point of departure to explore the conceptual relationship between painted and screen-based panoramas, this paper will explore: how the potential for a hypermedia system can be found in the painted panorama; the unique qualities of the computer-based panorama; and discuss related hardware advances for the digital panorama, which appear to bring us closer to Robert Barker’s original intent as an immersive image space for the masses. Thompson, Seth. “VR Panoramic Photography and Hypermedia: Drawing from the Panorama’s Past.” In Proceedings of the 21st International Symposium on Electronic Art, Vancouver, Canada, August 14-19, 2015. ISSN: 2451-8611 ISBN: 978-1- 910172-00-1.